So, heute habe ich mal wieder Zeit gehabt, ein Layout für ein paar challenges zu kreieren. 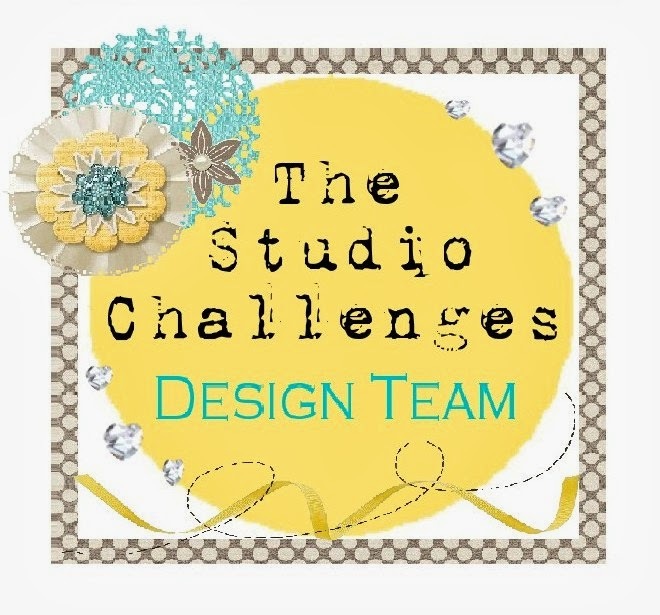 Today, I had some space time to create a new layout for some challenges. 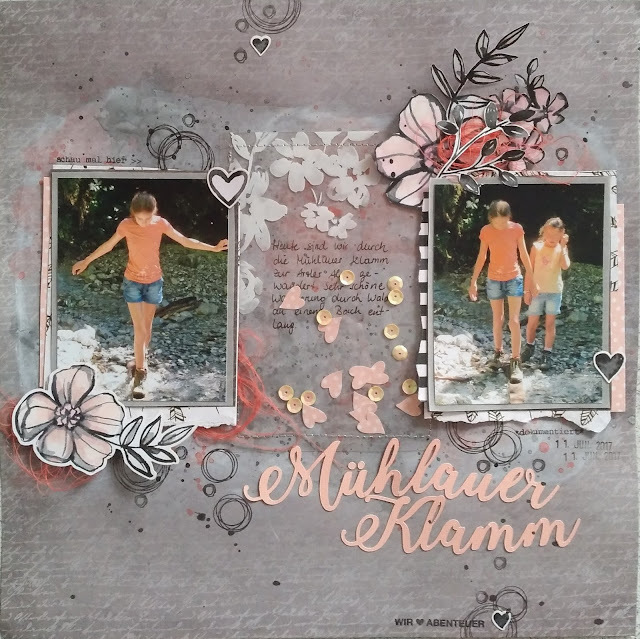 Als Hintergrund habe ich graues Designpapier verwendet.Im mittleren Bereich habe mit weißem Gesso grundiert und mit Farbspray (Heidi Swapp teal und salmon) Akzente gesetzt. 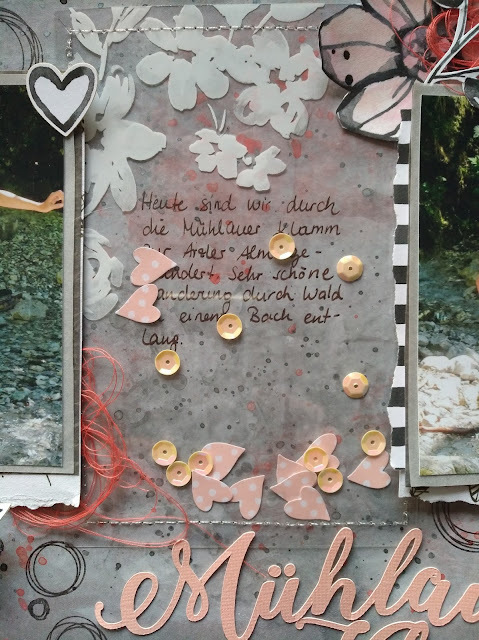 Zwischen meinen Fotos habe ich zuerst mein Journaling geschrieben, dann habe ich eine Projekt-Life-Karte aus Acryl darüber gelegt, fest genäht und mit Pailletten und kleinen ausgestanzten Herzen gefüllt. Die Blumen sind Aufkleber zum selbst colorieren von Stampin up. Das schwarz-weiß hat super zum Thema gepasst. Die Kreisstempel sind von Anne Design. I used grey patterned paper as my background. In the middle I grounded it with some white gesso and used color spray from Heidi Swapp (teal and salmon) onto it. First. I wrote my journaling between my photos, then I layed an acrylic project life card onto it, machine stitched around it and filled it with some sequins and small punched hearts. Wow, love the shaker element and the colour of this page! 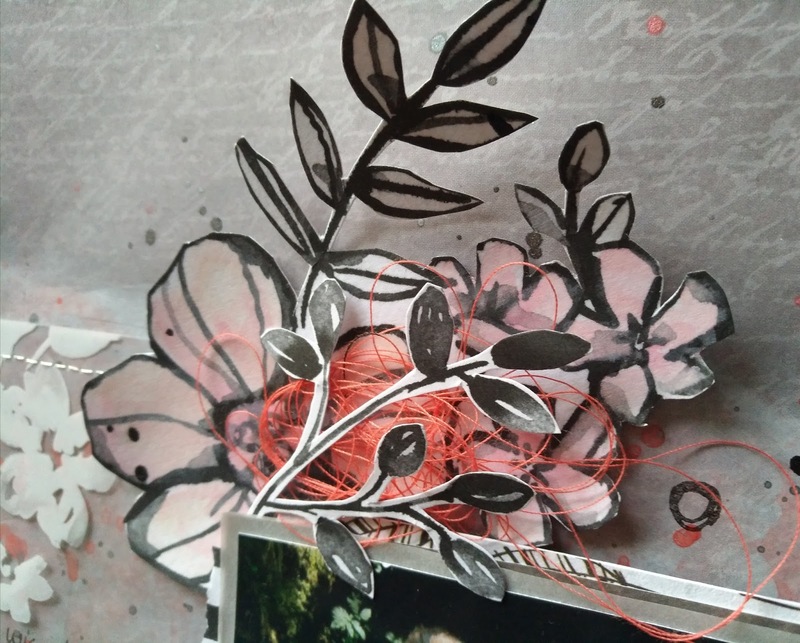 Thank you for joining us at Off the Rails Scrapbooking. Great layout and love the shaker box. Thanks for joining us at OTR! Great take on the challenge. Thanks for joining in with us this month at Off The Rails. Beautiful layout. Fantastic take on the sketch. Thanks for joining us at Sketches In Thyme. 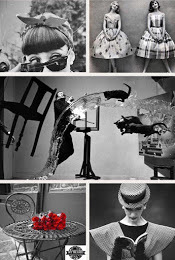 Fabulous take on the mood board and so stylish!! Beautiful job!!! 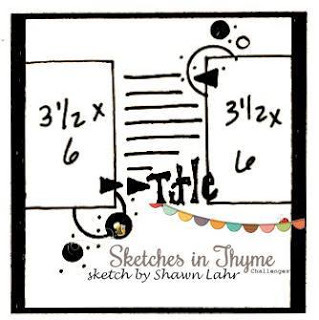 Thanks for playing along at Sketches in Thyme! Gorgeous take on the sketch! Thanks for joining us at Sketches In Thyme! Fun take on the mood board! Thanks for sharing it with us at OTR! Wow love how you did the journalling shaker ... gives such a different spin to the page. Thanks for playing along with us at Off The Rails Scrapbooking. Great take on the challenge!! Thanks for playing along with us at Off the Rails Scrapbooking! !